Comedy’s night of nights is just around the corner and this year’s all-star line-up is nothing short of amazing. 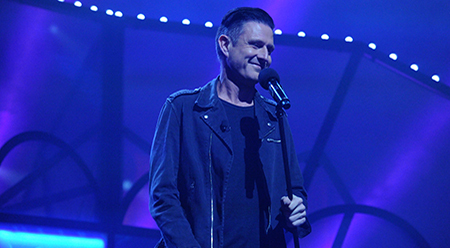 One of Australia’s top comedians and the star of ABC’s Gruen, Wil Anderson will host the 22nd Gala event at The Regent Theatre on Wednesday 22 March 2017. Joining him on stage will be over 20 of the funniest local and international comedians including Paul Foot (UK), Stephen K Amos (UK), Arj Barker (USA), Anne Edmonds, Mae Martin (CAN), Loyiso Gola (STH AFRICA), DeAnne Smith (CAN/USA) Jason Byrne (UK), Matt Okine, Demi Lardner, Tommy Little, Urzila Carlson (STH AFRICA/NZ), Sammy J, Joel Creasy, Frank Woodley, plus many more surprises on the night! This sold out event is Australia’s biggest night of comedy, when audiences pile through the theatre doors to get the first glimpse of what’s on offer at this year’s Comedy Festival. The Gala event kick starts the largest comedy festival in the Southern Hemisphere and is held to benefit Oxfam’s work empowering communities around the world to tackle poverty. 2017 marks an exciting new broadcast partnership for the Melbourne International Comedy Festival. 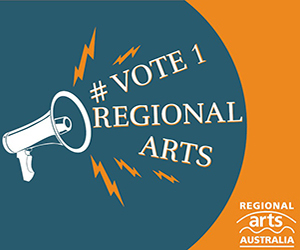 ABC television will film the event to be broadcast nationally on Sunday 2 April at 8:30pm on ABC, with further catch up viewing available on ABC iView. 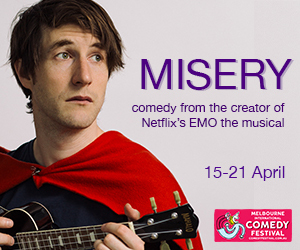 The 2017 Melbourne International Comedy Festival opens on Wednesday 29 March and runs until Sunday 23 April. For more information, visit: www.comedyfestival.com.au for details.